Moving on… Task#2 focused on self-love… one of the parts of our task was to post 10 selfies on our instagram accounts. At least one of them had to be without a filter…and you had to tag them and add things about yourself you liked! Then other people participating in #abrightproject commented and left affirming comments for the people that posted photos. Selifies are something a lot of people love to hate. But I really don’t have a problem with taking a photo of myself because I look at it like documenting a moment in time. If you’ve been a reader at Sarah on the Road for any amount of time you will realize that ‘selfies’ are something I do quite often. Why? I find it’s a way to put me IN the picture…often after going somewhere or doing something I find that I didn’t have a photo of ME at that spot… I have heaps of photos of friends, family and other people…but none of me. Taking a quick selfie is a way to document that moment…even if that means laughing at the photos later! The social part of my task was comment on my Bright Half’s photo…and then send her a letter talking to her about your process and how you feel about yourself. The more important thing was to affirm her and give her 5 points that were awesome that you learned about her through her self-protraits she posted on instagram! My letter was waiting for me when I got back from my holidays in February… it was so exciting to get mail that wasn’t bills! Those little tags each held an affirming statement my Bright Half saw in me from looking at my selfies…it was an awesome gift, thank you!!! Task #3 was all about being Grateful…I’ve sent off my parcel, but haven’t received mine yet…it’s on it’s way…but who knows when it will arrive here in Pang! Once I receive it I’ll do a post explaining more about this task! 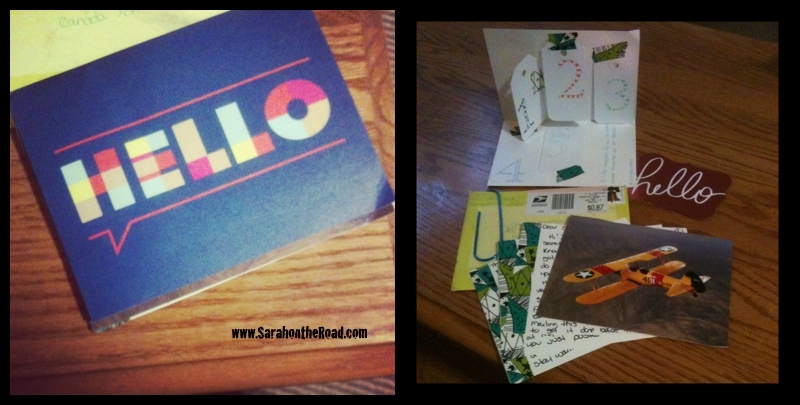 This entry was posted in Blogging Community on March 31, 2014 by Sarah on the Road. Spring has sprung! 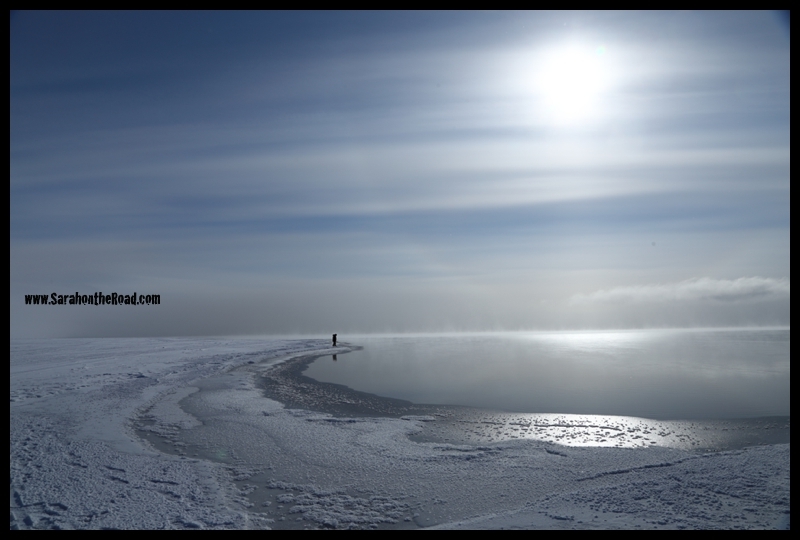 The weather has been gorgeous here in Pang…the sun has been shinning and the temps between -15C (-20C with windchill). The days are getting longer too… the sun is rising around 5:45am these days and setting at 7:10pm! This is a post that has many random thoughts from my head…from this past week. Right now I have another 6 blog posts in draft format in my blog dashboard. I need to finish them…and hopefully will soon. But for tonight here’s my random thoughts! This has been on my mind all week a report was released and shares what all of us living in the north know, but many southerns in Canada don’t. 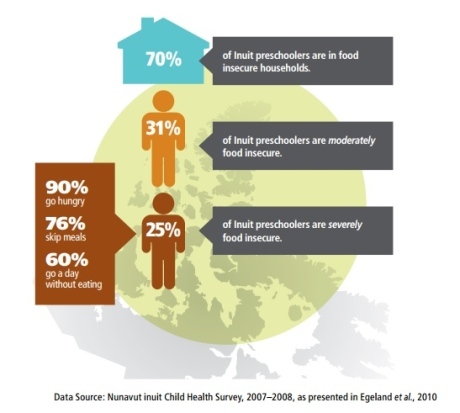 Like: “76 per cent of Inuit preschoolers skip meals, while 60 per cent have gone a day without eating.” and “The report says the average cost of groceries for a family of four in Nunavut is $19,760 per year while almost half of Inuit adults earn less than $20,000 annually.” Here’s a link to another article about the issue. It’s a complex situation with no real clear-cut answers. All the “southern” food has to be flown in, or brought up in the summer on big barges…that makes the food prices extremely high! This weekend I bought a bag of 8 oranges for $15.95. I’m not sure what the answer should be…but something needs to change. 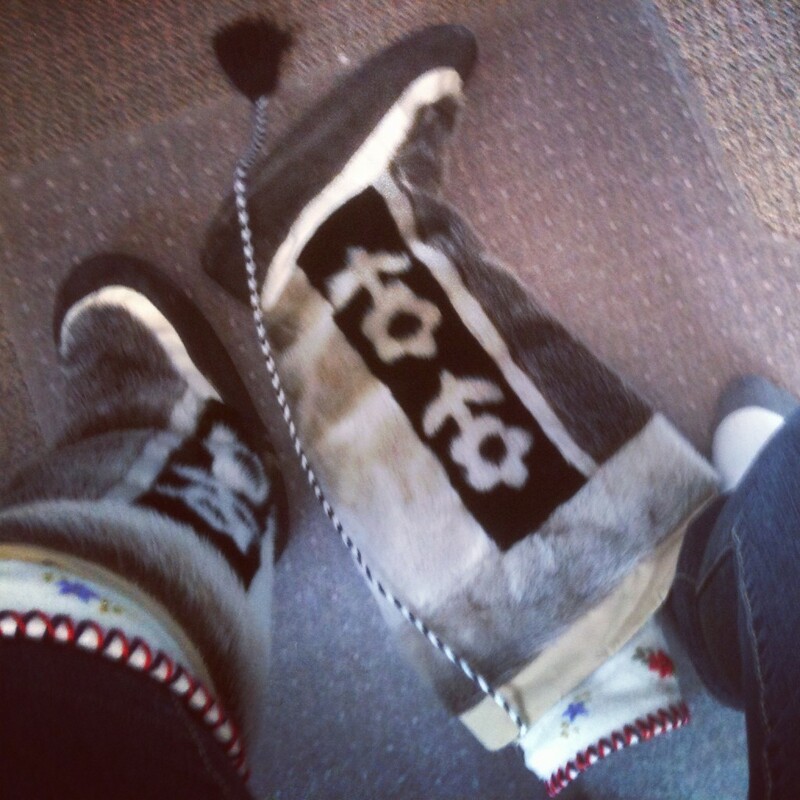 The other thing that was happening this week in Nunavut was “#sealfies”…now what is a “sealfie” you might ask? Well it all started with Ellen’s selfie from the Oscars that broke twitter, you see Samsung donated $1 for every retweet which was about 3million dollars to charties of Ellen’s choice. One was a children’s hospital and the other was the American Human Society which has been very vocal about stopping the commercial seal hunt in Canada. 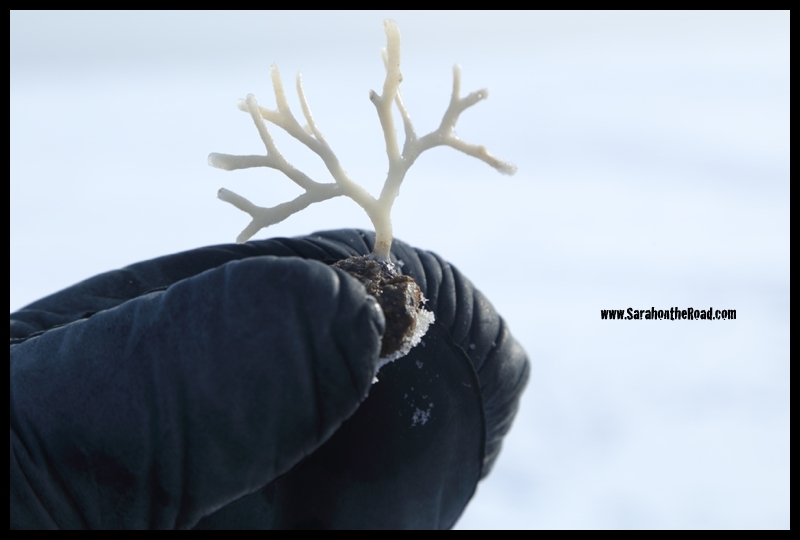 (which normally refers to the commercial hunt not the traditional Inuit hunt) Fellow Nunavut Bloggers over at Finding True North had a fabulous explanation about it on her blog… so go CHECK it OUT! 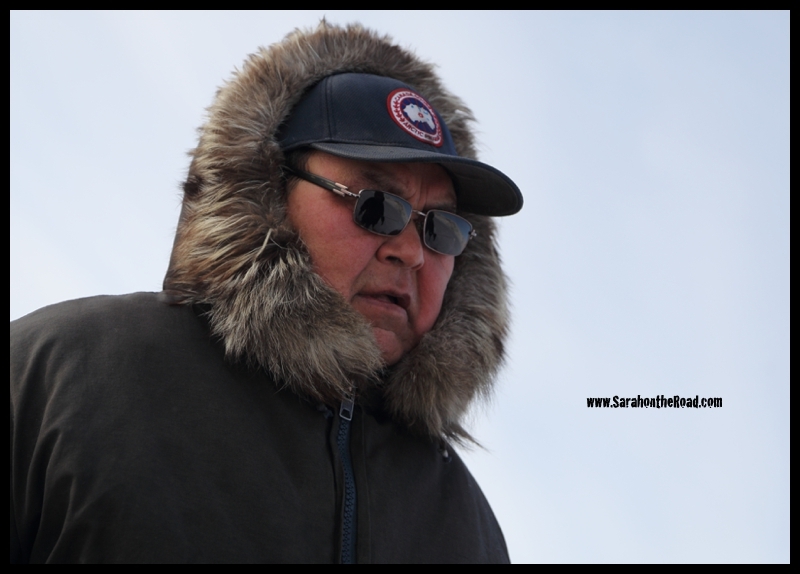 Killaq Enuaraq-Strauss from Iqaluit had this brilliant response to Ellen. This week I joined a sewing group. 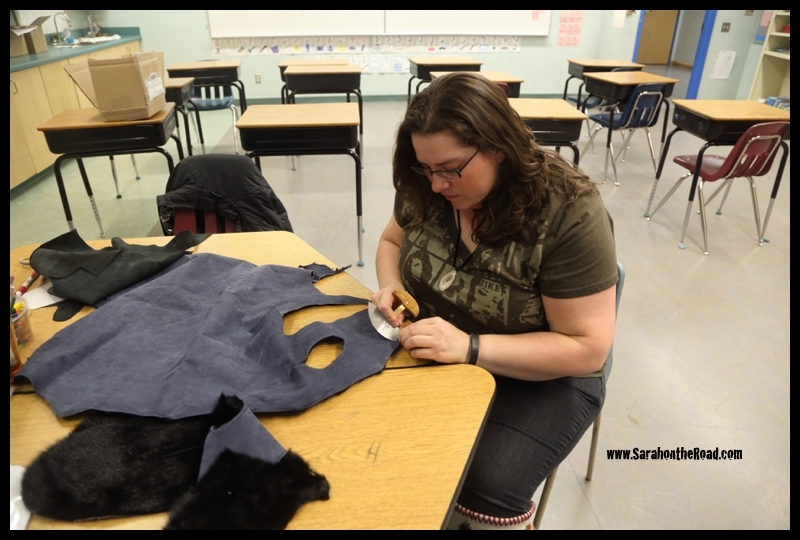 The Inuktitut Teacher at the high school about 2months ago opened up her classroom for a sewing group on Monday & Wednesday evenings and Saturday afternoons. She’s donated her time to help others on projects. 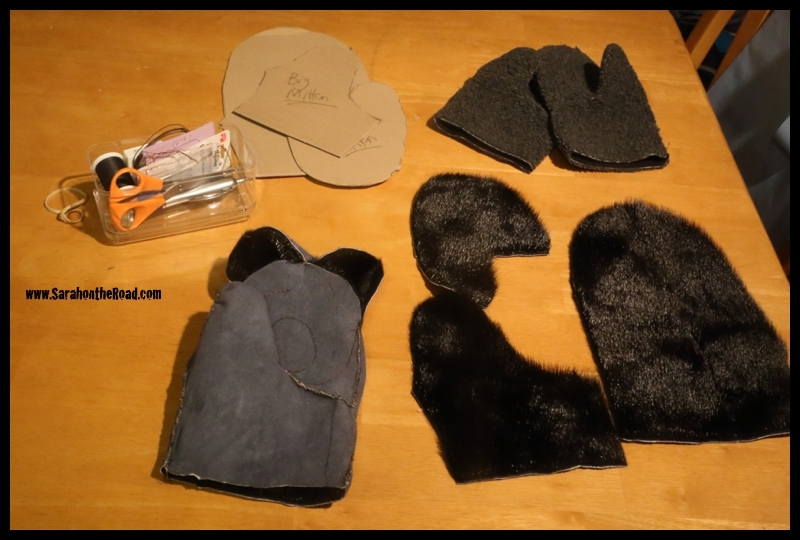 This Wednesday I went with my friend…and started cutting the pieces for my seal skin mittens and started sewing. 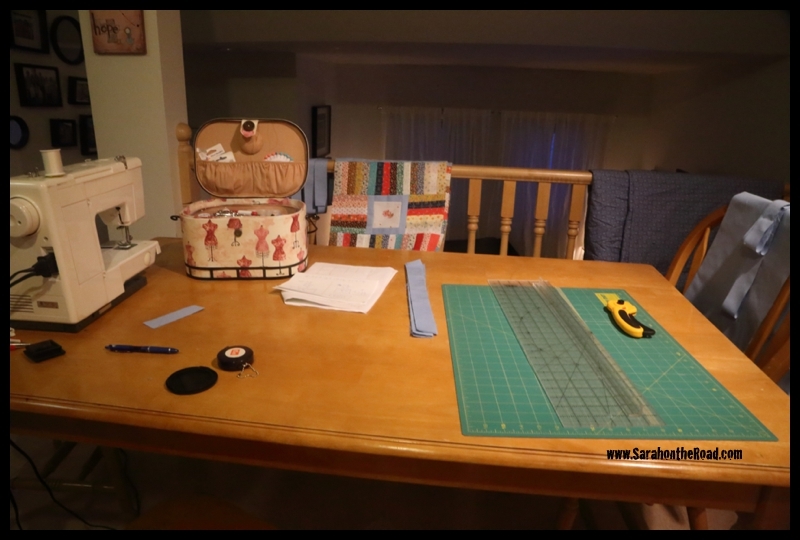 Then on Saturday afternoon I went back and got more direction about how to do the next step of ‘gathering’ for the sewing. When I’m done I’ll post more photos and story of the progress…but for now here’s a quick shot of me cutting out the seal skin pieces. I’ve also been working on my quilt top…finally joined the 4 blocks to make strips. Then today spent the time cutting and sewing together the rest of the ‘sashing’ strips I needed to join the sets of 4 blocks together. Still have heaps of work to do…but it’s coming closer together to a nice quilting sandwich for lots of hand-quilting to begin. 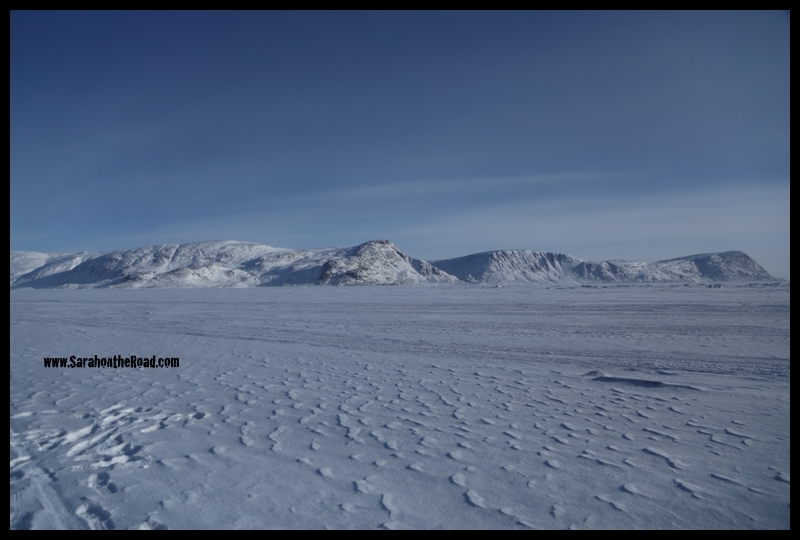 …so that’s what’s been happening in the last week in Pangnirtung. 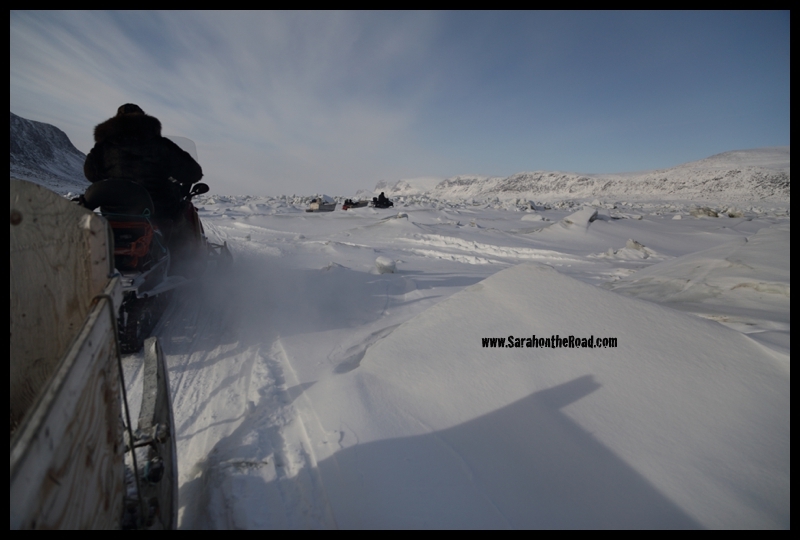 This entry was posted in Life in Nunavut, Random, Rants & Reflections on March 30, 2014 by Sarah on the Road. First I want to say…I’m finally feeling better, still not 100% but so much better than last week! I got home on Thursday night…it was so good to sleep in my own bed! Even though I still wasn’t 100% and I was loosing my voice I had made plans with friends to go to Auyuittuq National Park for the day. On Saturday morning I met with my friends at the Parks office to go over our orientation…and Joavie our outfitter let us know it was extremely windy in the Park…and wouldn’t be a good day to visit. Remember last year how I went in the spring and it was crazy windy? Well after some discussion our group decided we wouldn’t venture into the Park because of the wind… and the fact we couldn’t head past Overlord to the Arctic Circle marker, or even further to get a glimpse of Thor. What we did was ask Joavie if he could take us in the other direction… out into Cumberland Sound. He agreed so we all went down to his house at 10am and got ready to head out of town! Leaving town heading through the ‘pack ice’…this is formed with the tides…it forces ice up when high tides come, and then cracks when the low tides leave. It’s a pretty cool to see it! Here’s a quick selfie on the move… with my komotik buddy! 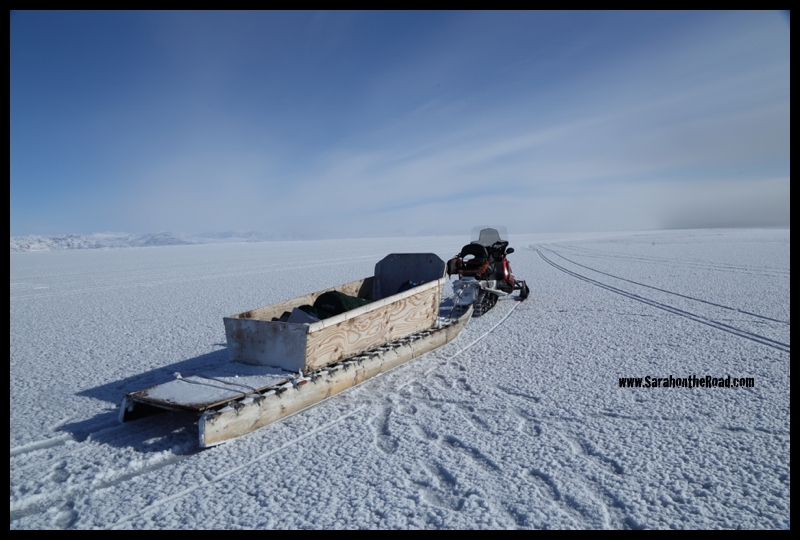 (We spent the day travelling in a komotik (the sled that is pulled by the snowmobile). 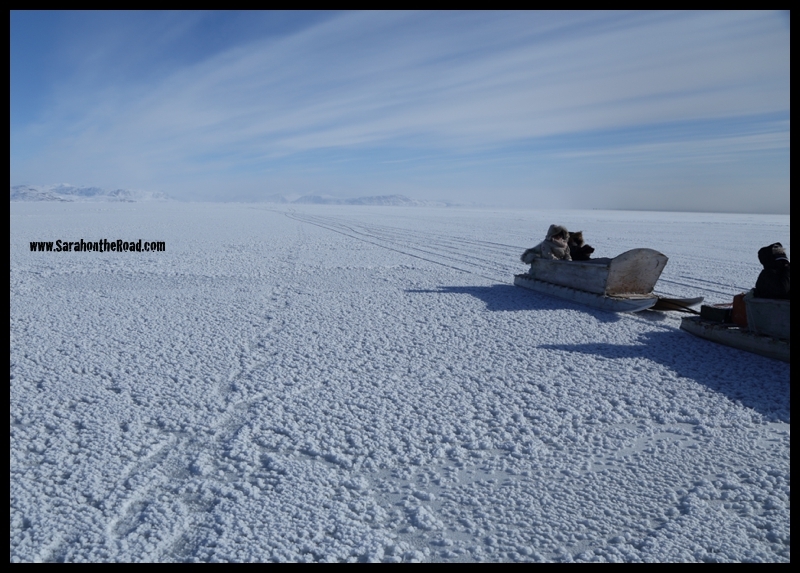 There were 2 snowmobiles…and one pulled two komotiks in a train…and then ours just pulled one! But it was perfect for the 6 of us! 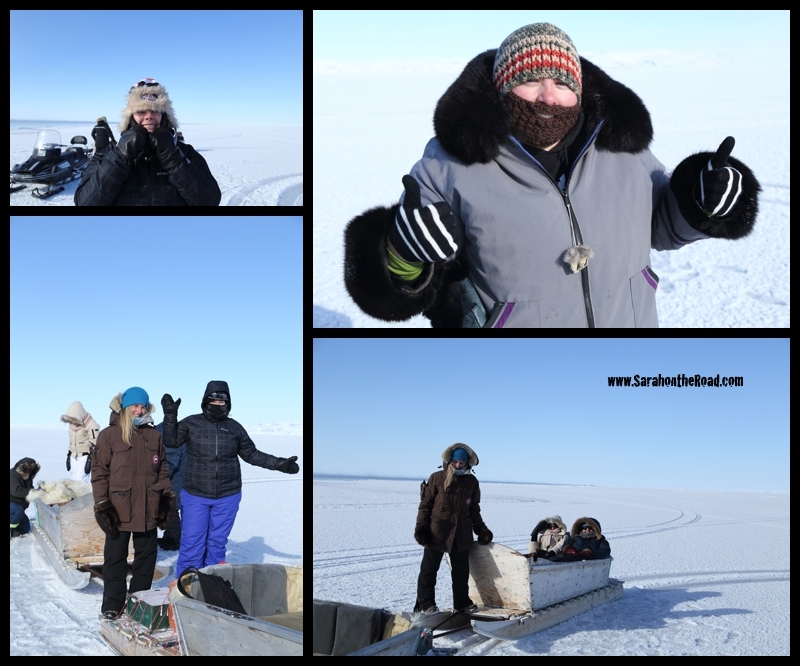 Our first stop on the ice after travelling for a bit was great to get out and stretch…and get our bodies moving after sitting with the cold wind! It was -19C with a windchill of -26C. Our two outfitters took the time to help warm up my friend’s fingers…it’s amazing how their hands were so stinking warm! My trick is to use a pair of those 1990s ‘magic’ gloves inside my mittens. My mittens are warm enough..but I find it hard to use the controls of my camera, so often have to take off a mitten. And at -19C my fingers DO freeze…so I end up wearing the magic gloves and that keeps my hands toasty! 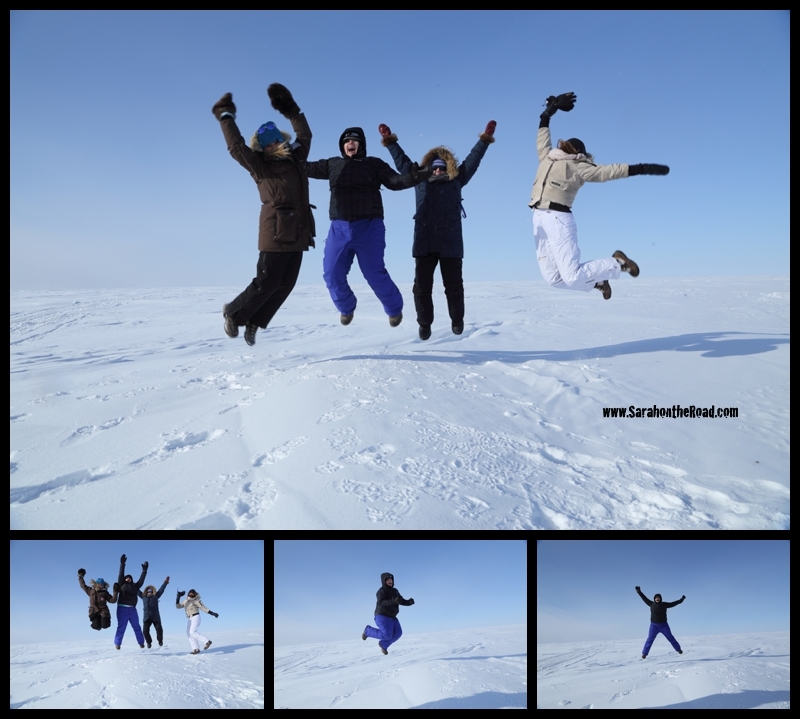 While we were having our break we decided to have a little “jumping” party… sometimes you just have to JUMP! Today’s reason…it was a beautiful spring day with the sun shining…and we were on the Cumberland Sound! 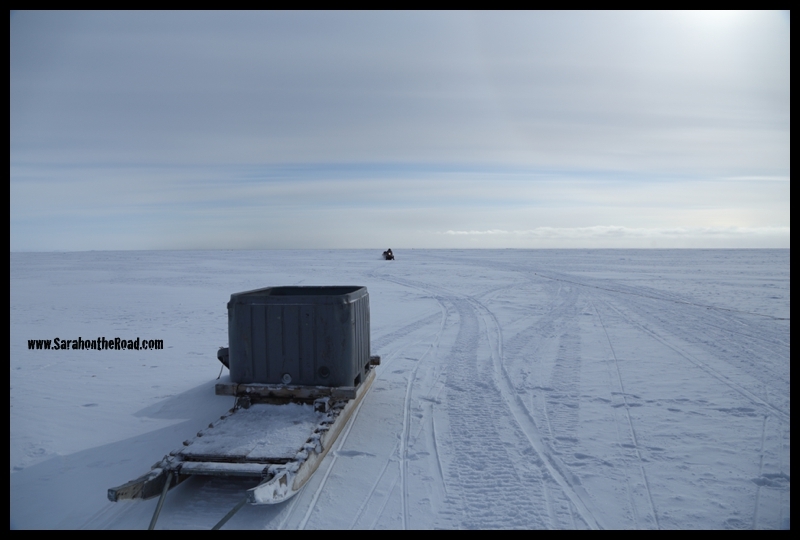 Our next stop was the Floe Edge. I hadn’t been here…but have wanted to visit for awhile! 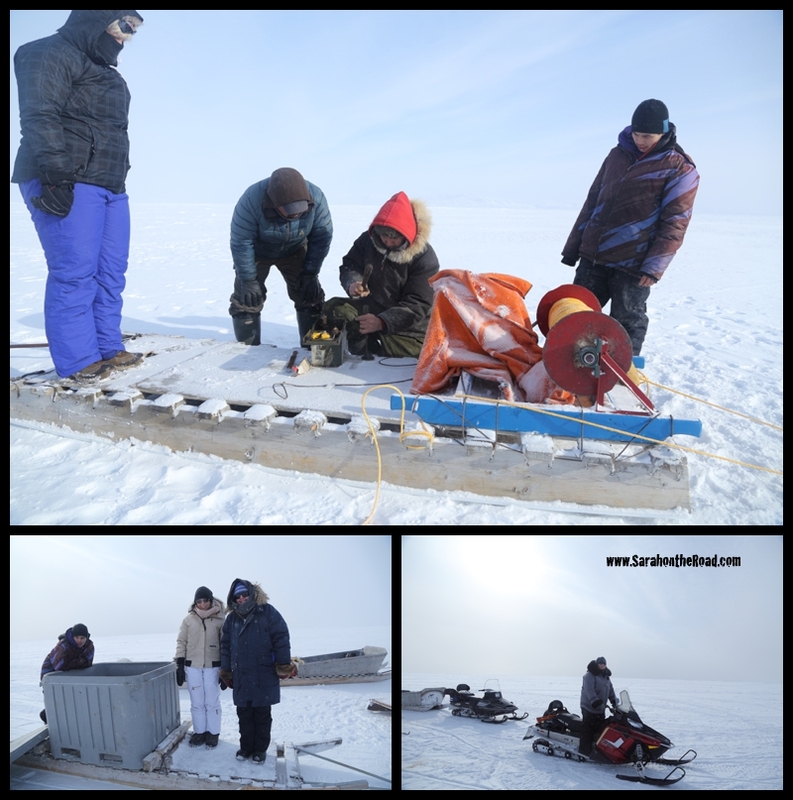 Joavie first checked the thickness of the ice to determine it were it was safe to walk. 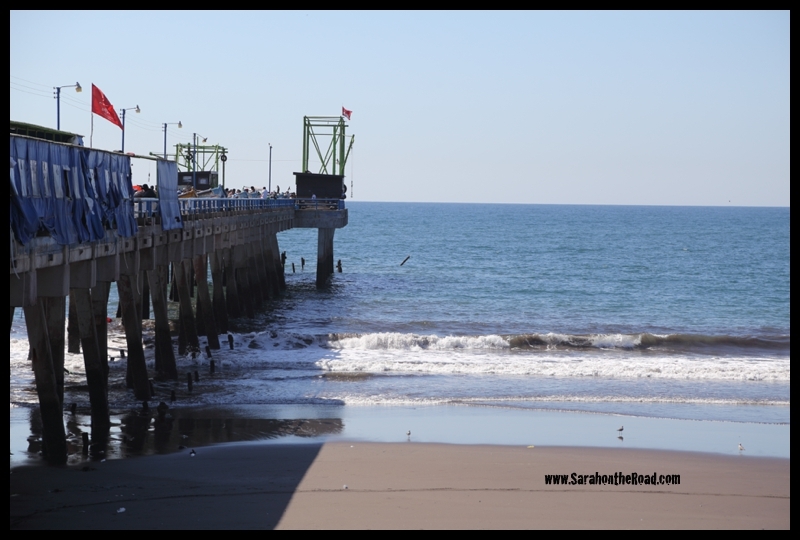 It was so gorgeous…the water was ‘misting’…even with the temperatures we had! 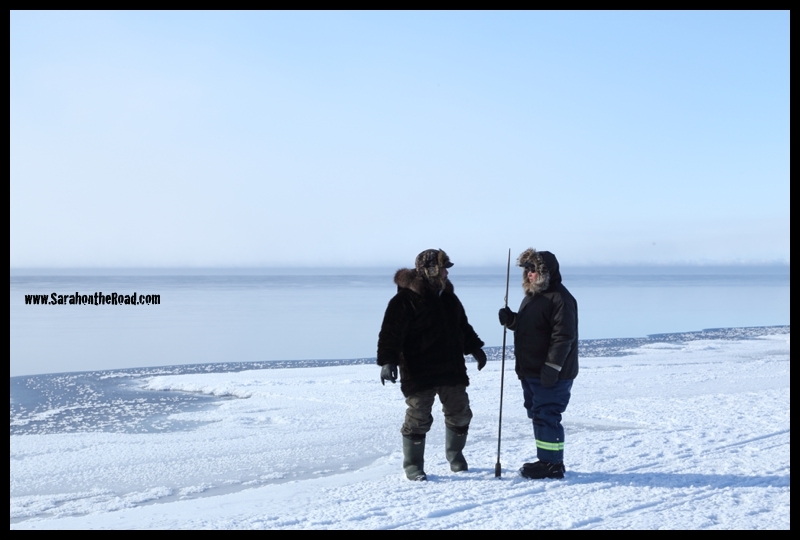 Our two outfitters talking about our next plans… we saw a group of people further along the floe edge so we decided to head over there. We hung out here for a bit, had some tea… and enjoyed our seal. 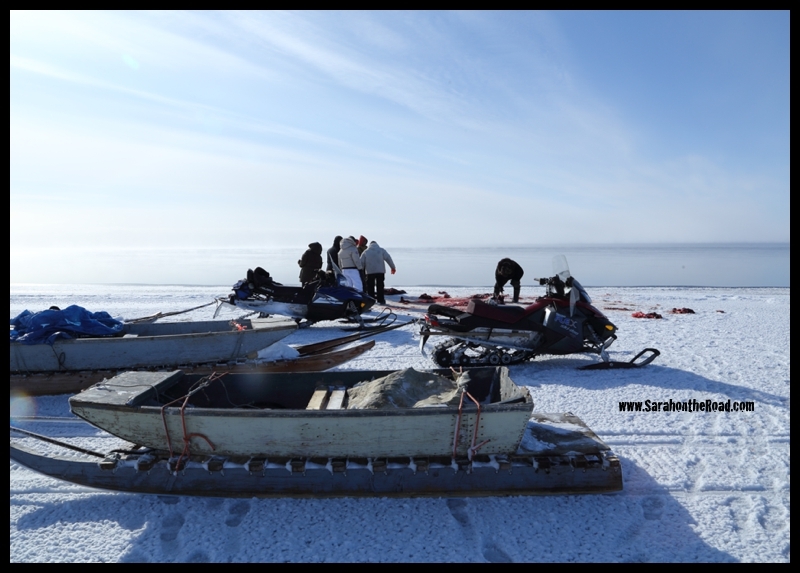 The hunters shoot the seal from the floe edge then…go in the small boat and row out to bring it back to the ice. 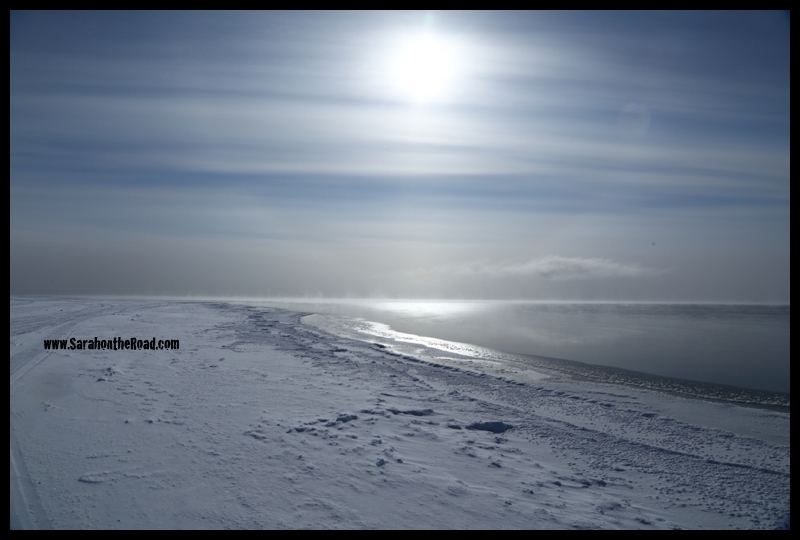 It was such a peaceful gorgeous day… it went from blue skies to having some light snow…to blue skies again! It’s amazing how fast the weather can change in one day. As we were hanging out…of course I decided to get some random shots of us just chillin’ at the floe edge. I brought out my ‘bearded lady’ hat…just to snap a photo, but it wasn’t warm enough to wear the rest of the day! Yup, definitely bigger than my hand! Glad this was all I saw of a bear that day. 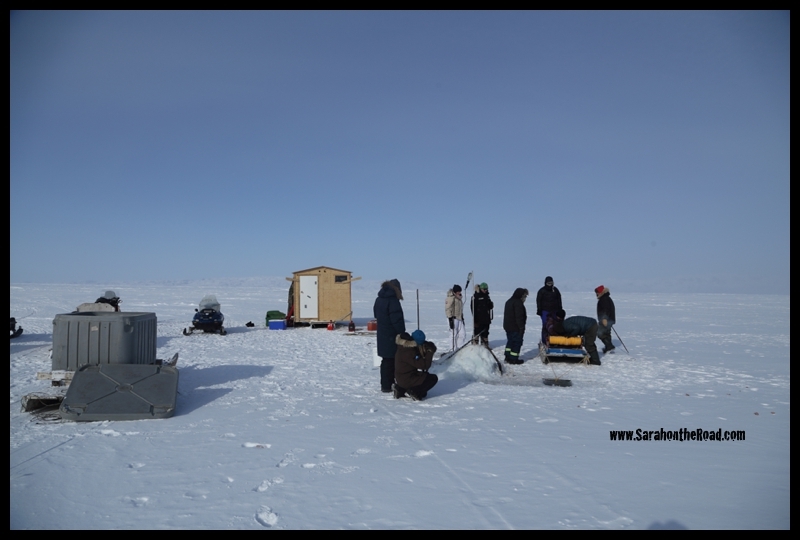 Our next stop was to head over to one of the Turbot Fishing camps. 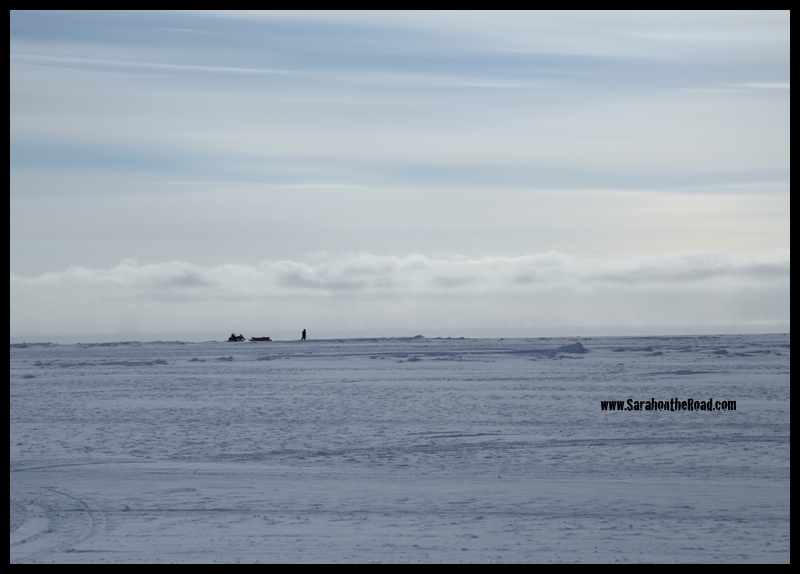 At this spot it was awesome to just see a figure in the distance at the floe edge with their snowmobile hunting. We stopped here for awhile to visit. It was a good stop as some people were cold and were able to warm up in the cabin. 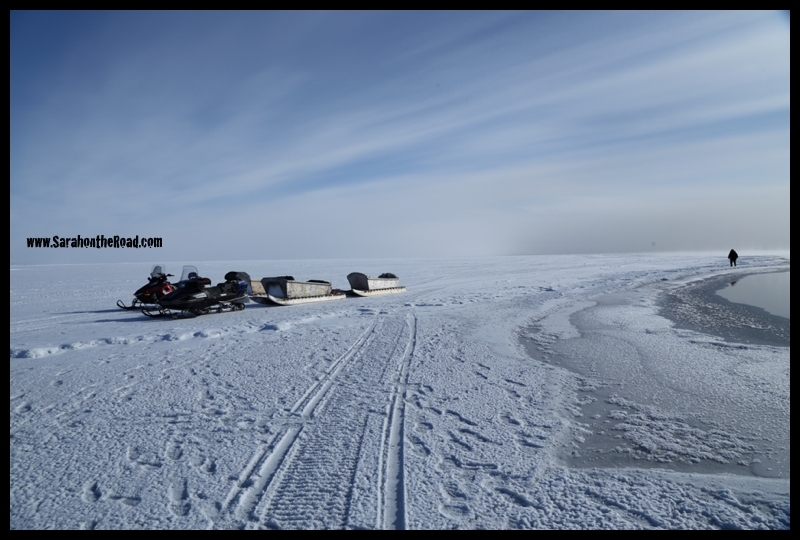 The small cabin sits on a komotik (and is pulled by a skidoo) but can be heated by coleman stove… there are vents to let out the carbon dioxide and it’s a cozy spot to camp while fishing. While we were there Joavie asked about the lines, and they fisherman agreed it was time to pull them up. It was great to be invited to be a part another awesome experience! While the men fixed the hauler…I was able to take the snowmobile off for a bit of a drive! It was pretty awesome, and was happy to have my toes warmed up…who knew that there was heat that blew out on my feet while driving! I didn’t..it was a happy surprise! Some of my friends decided to run and jump to keep the blood moving and stay warm! 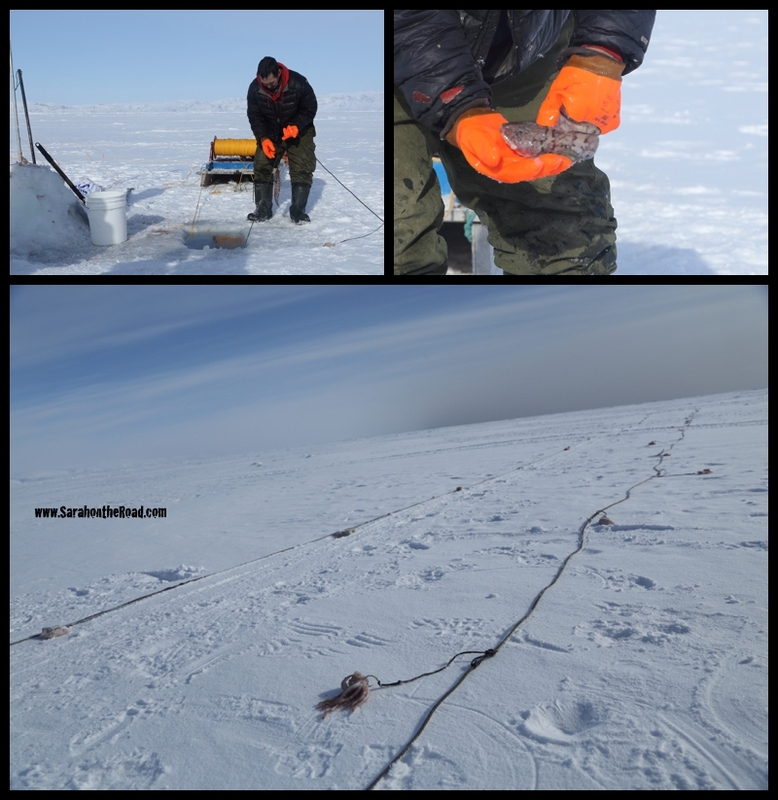 Soon it was time to bring out the lines, that are baited with squid from Newfoundland. This was one of the fish that was caught…but no one seemed to know what kind it was! This wasn’t a great spot, because most of the bait was left on the hooks…with no fish. However, about 4 Turbot were caught. 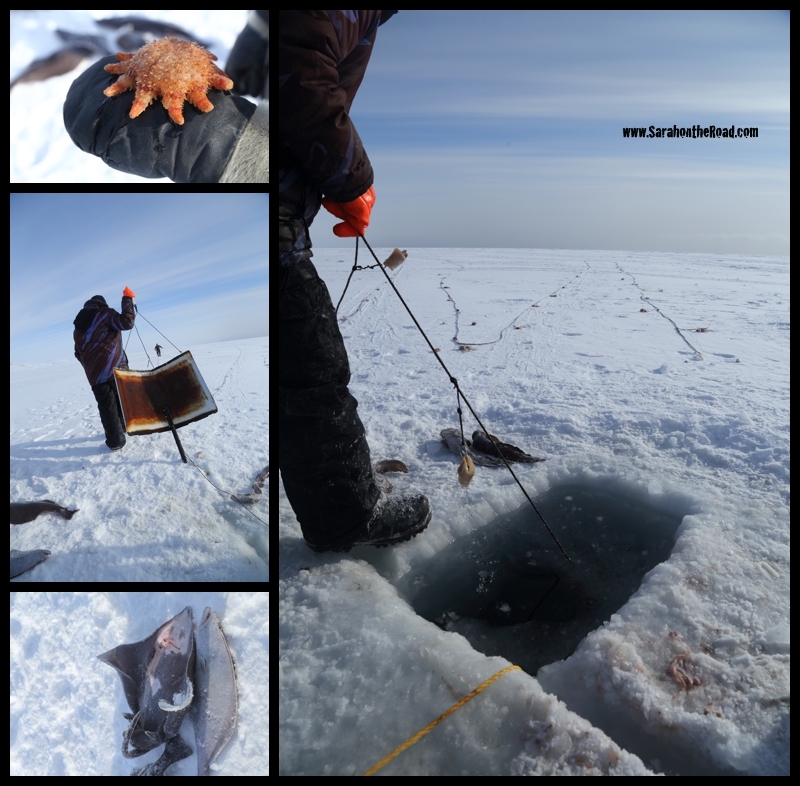 Plus a few other ‘interesting’ things were caught…this starfish, a sting ray, and some rocks with coral on it. I asked the Fisherman if I could have the rock with the coral tree…and he agreed, it’s the coolest thing ever. I managed to get it back to town by holding it the whole way in my hand..and only broke off one small part of it…it still looks way cool! 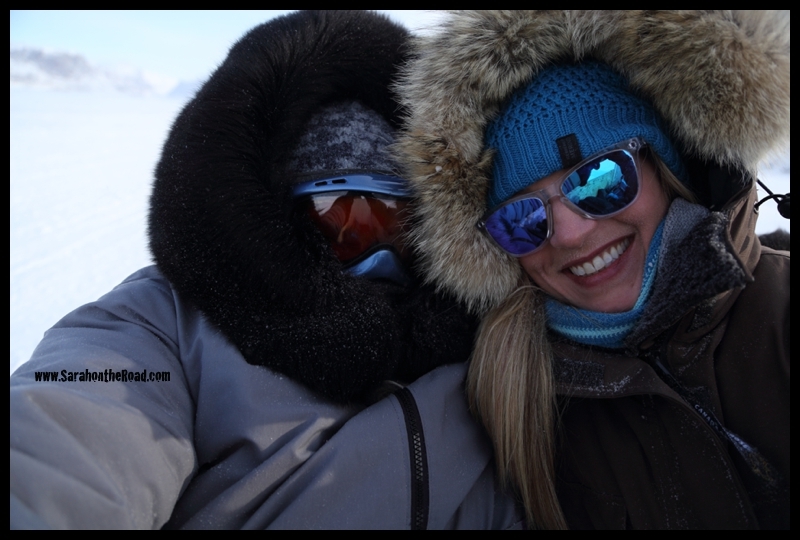 Then it was time to head back to town…we stopped just outside of the fiord to move around and warm up…. these breaks help keep us warm, and are awesome for photo ops!! Here’s a shot of my friend and I… the one on the left is from the first stop of our day and the one on the right was from the last stop of the day!! It’s so gorgeous being outside of town on the land. 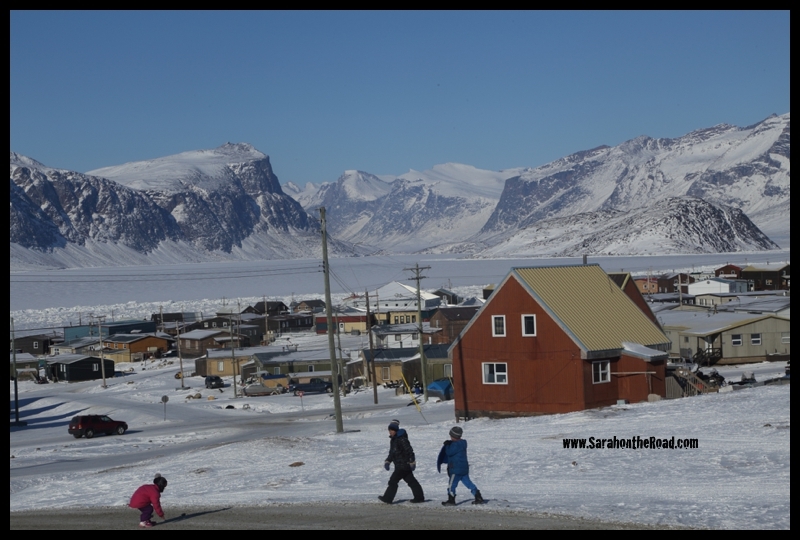 Days like this totally remind me of why I love living here in Pangnirtung. It’s having days like today and opportunities to get out of town and that helps me appreciate all the great things about living in the Arctic. Being able to experience and see a glimpse into the hard work the hunters and fishermen do to bring food to their families…well that was pretty special! 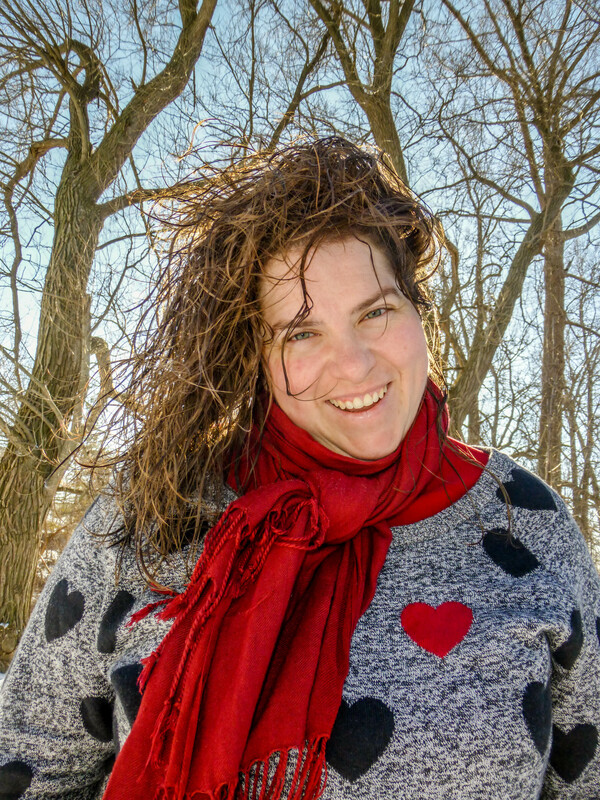 Part of me is secretly happy that it was too windy in the Park and our plans had to change…because my day out on the Cumberland Sound was AMAZING! As Joavie said… “I have a lot of stories to tell from my day”. I hope you enjoyed some of the photos and stories from my adventure that I shared here today! 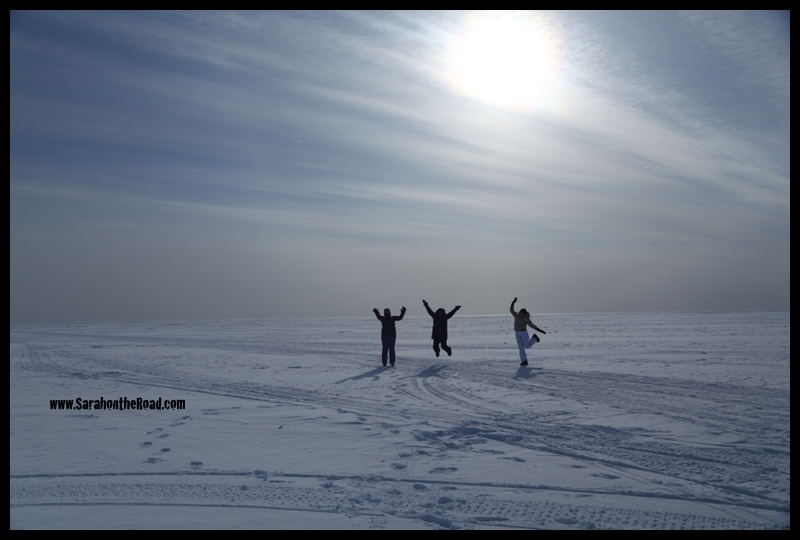 This entry was posted in Life in Nunavut on March 23, 2014 by Sarah on the Road. Last Friday I felt it coming on..a sore throat and the start of a running nose…it didn’t stop me from going over to a friend’s house to help celebrate her daughter’s 11th birthday that night. Saturday I fought the feelings of the sickness even though my face was a snotty mess…I did meet a friend for lunch and had a low- key dinner with friends (which was so yummy and awesome!) Sunday, after relaxing in my hotel room I did get out to a friend’s house to help celebrate her son’s 5th Bday…but alas still had the nasty running nose. (Don’t worry I checked with everyone before I met up with them…most of them or their kids have the same cold I seem to have!) 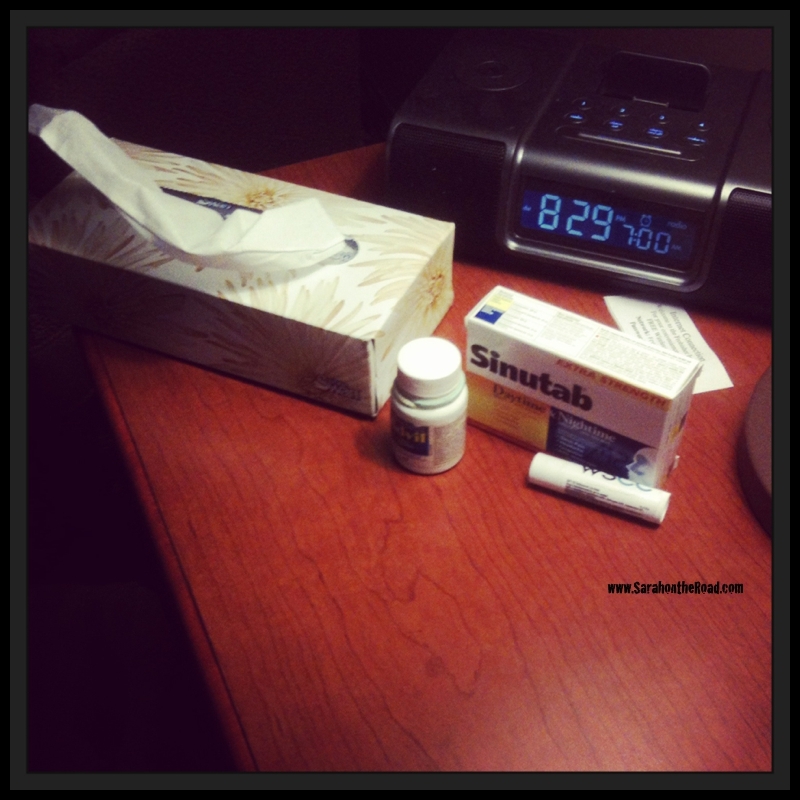 Now Tuesday evening…I finally am ready to admit I’m sick, and I feel nasty…my nose has decided to stop running, but then 10mins later starts dripping again…a cough is developing and I have a nasty headache. I just got off the phone with my mum…she told me to just head to bed and get some sleep. I know It’s not even 8:30pm and I’m heading to bed…hopefully with the aid of some meds I will sleep better tonight and wake up so I can go and finish the tasks I was sent to Iqaluit to do! It isn’t fun to be sick, but being sick while travelling and working is really not something I’d wish on anyone I know…even an enemy! 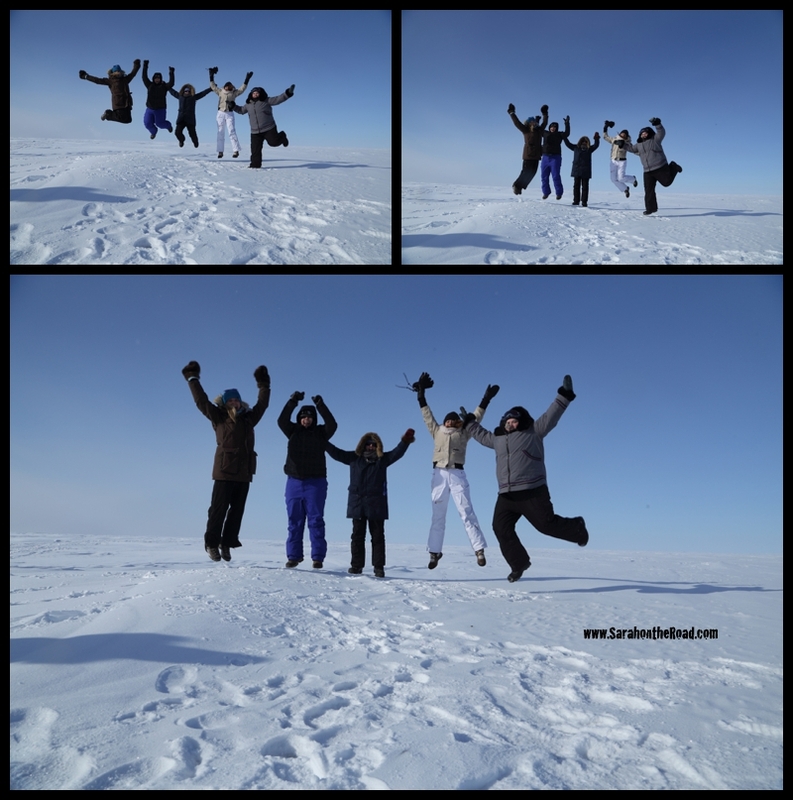 This entry was posted in Life in Nunavut on March 18, 2014 by Sarah on the Road. Five Years- Time to Look Back! Five years is such a long time…yet five years goes by in a flash! 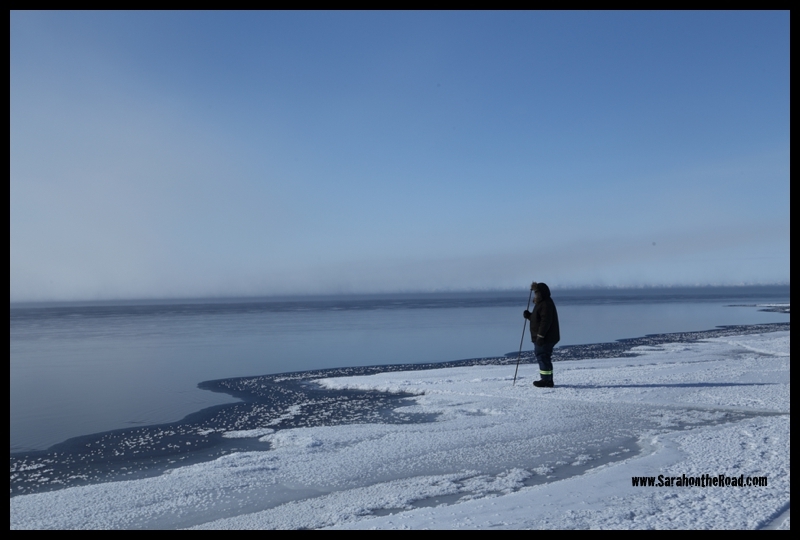 It was five years ago I left from Toronto on one of my biggest adventures and headed north. 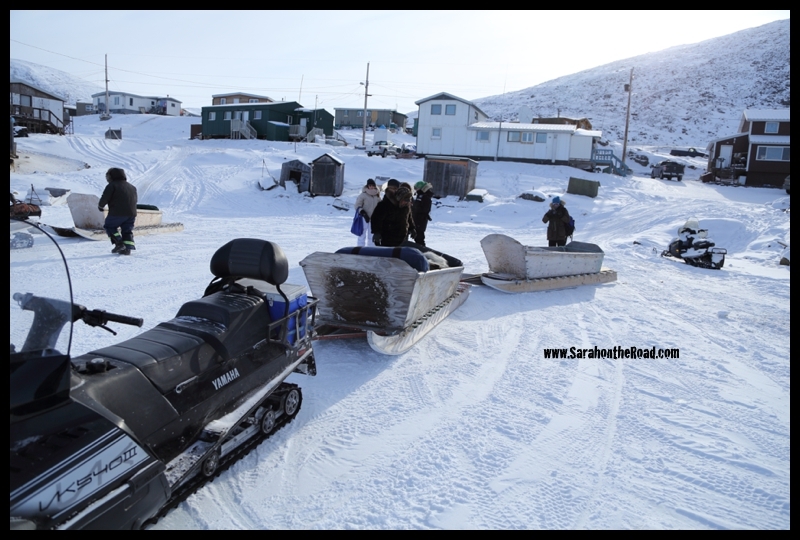 I had packed up my apartment putting most of it in storage…packed up some things to ship north and off to Pangnirtung I went. It was for a 10month contract. 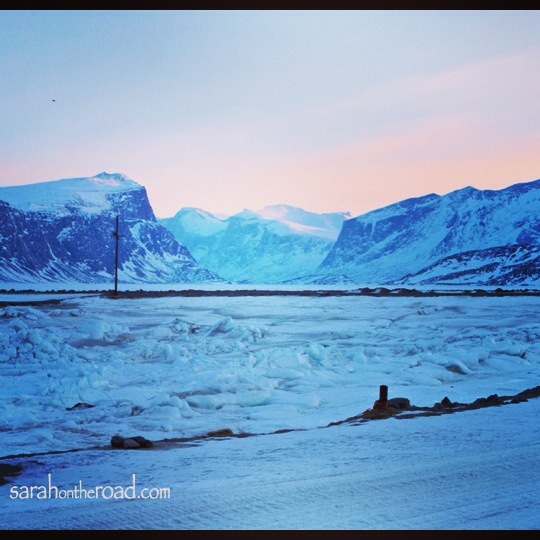 I was so excited…looking back I really didn’t know much about living in the Arctic. I wasn’t a big ‘researcher’…I applied for a job, got an interview then accepted the position and flew north. 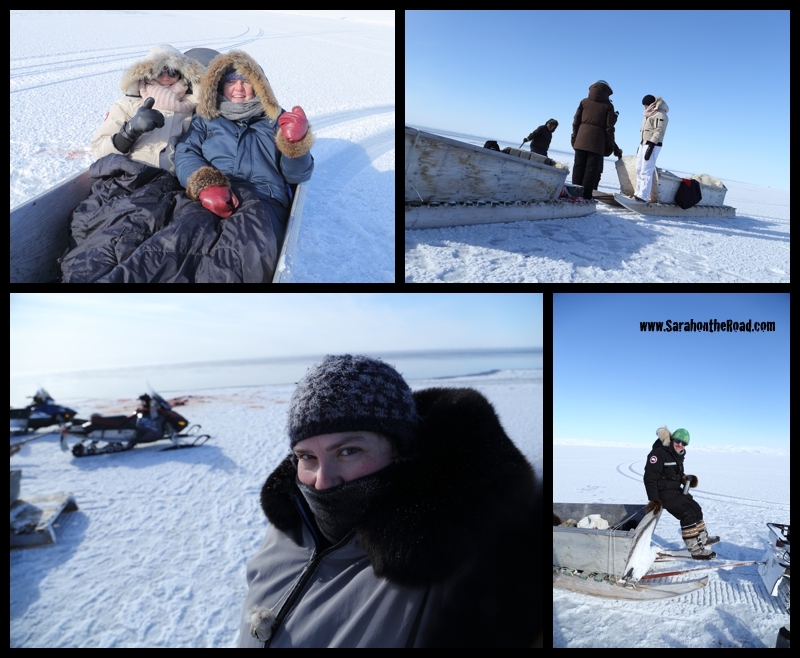 One of my good friends Emily was teaching that year in Qikiqtarjuaq…so at least I knew a tiny bit about what I had gotten myself into! 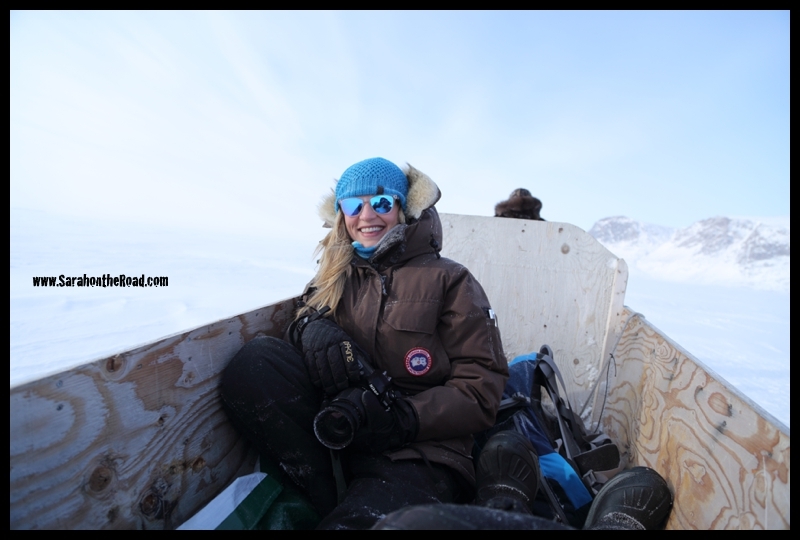 Now 5 years later it’s easy for me to say that Nunavut has become my home. I love the work that I do, and the community that I live in…don’t get me wrong, I miss being close to family but I do love my home I have made in Pang. 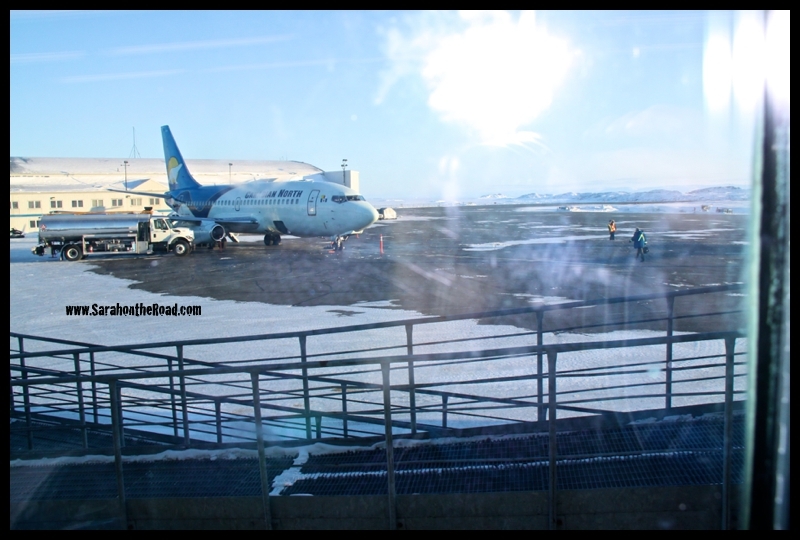 Iqaluit Airport from March 16, 2009- My first time in Iqaluit, Nunavut! Now I haven’t lived in Nunavut for 5 years straight…(I had an eighteen month stint in Winnipeg, Manitoba from January 2010 to July 2011). But I can say that I haven’t lived in the same province as my family for 5 years. I use to think I had a plan for everything in life…but lately I’ve realized that maybe the best things I’ve done or accomplished came out of little to no planning. Often they just happened because I was in the right place at the right time and open to a new adventure. I keep wondering should I make another 5 year plan? or just carry on like I’ve been doing? 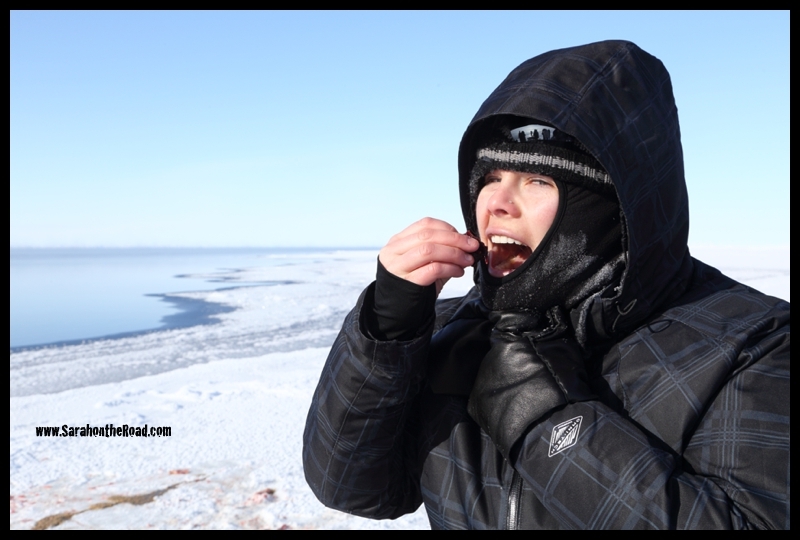 As I sit here in Iqaluit my brain starts to think….lots of questions and wonderings about what the next 5 years will bring…what adventures? what excitement? what joy? what challenges? what hardships? hmmmm looks like I might have some thinking to do in the next few weeks! What about you…are you a goal setter? Do you make a life plan and follow it through? What’s your style? 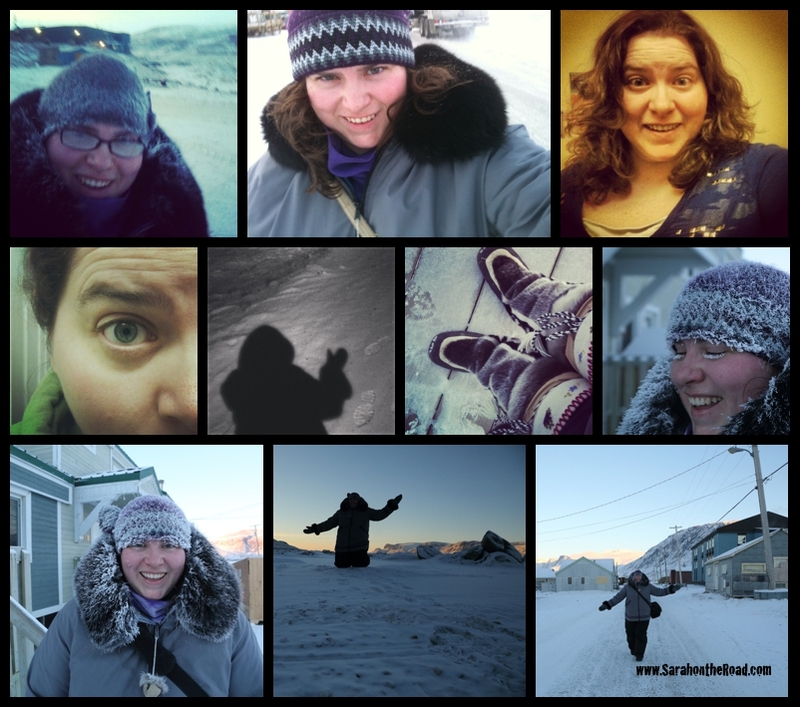 This entry was posted in Life in Nunavut, Random, Rants & Reflections on March 16, 2014 by Sarah on the Road.